A Very Large Housing Development Proposal for 2.5 acre lot at 70 Rowe St., Auburndale (a village of Newton, MA). Just to let you know that there is a Community Meeting on Thurs. 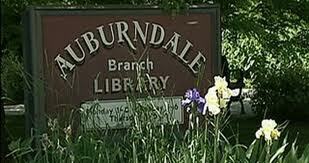 June 19, 6:30 pm, at the Auburndale Community Library. Our Village is experiencing a surge in development density that will heavily impact traffic and Schools. Please attend the community meeting to voice your opinions and questions for the developer and city officials.